Please note: Prices quotes are for members of H.I.. If you don't have a membership card, an difference of $5 per night (shared room) or $20 (private) will apply. Memberships can be purchased at check in. Reservations of 9+ people will require full payment **before** arrival. 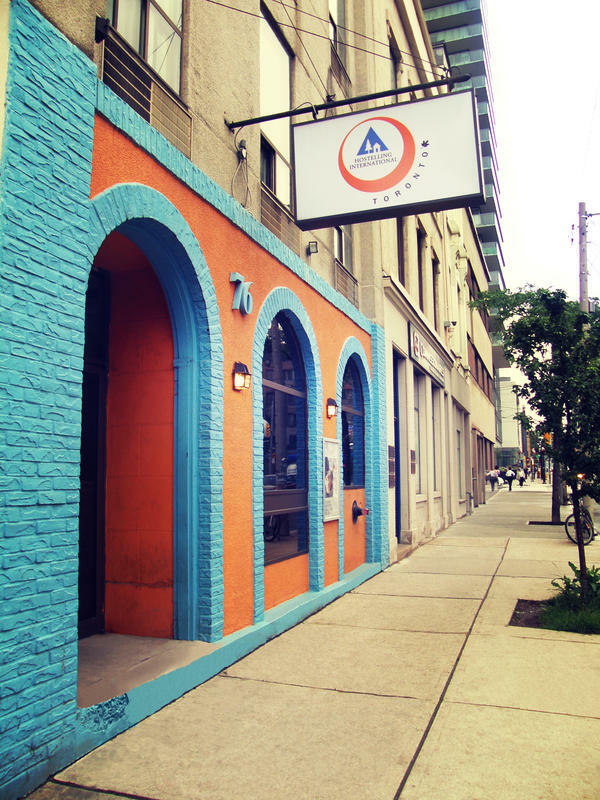 The hostel is within easy walking distance of public transport (TTC), the entertainment district, restaurants, pubs, nightclubs, major shopping venues, supermarkets, liquor stores and many popular tourist attractions. One of the best things about traveling is meeting travelers from around the world. Don't miss our daily activities and especially our incredibly popular, legendary pub crawl! Free wireless internet; air-conditioning; an elevator; free towels and linen; a comfortable lounge with pool table and jukebox; laundry room; lockers (free with your own lock); fully equipped kitchen and The Cavern, our bar and bistro that serves breakfast, lunch and dinner every day! Fear not: vegetarian and gluten-free options available. Don't forget: a 13% Ontario government tax is applied at check-in. TRAIN: From Union Train Station it is 900m to the hostel. 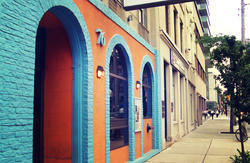 The easiest way to get here is to walk East on Front Street to Church Street, turn left and walk North to 76. Or take the subway (connected to the train station) one stop north on the Yonge line to King Station. 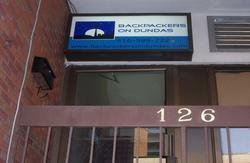 Exit onto King St and walk east to Church St.Turn left onto Church Street and walk north for one block, the hostel is on the left hand side. 2) Take the Airport Express Shuttle (Approx. $30) and get off at the Fairmont Royal York Hotel across from Union Station. Then follow walking directions above. 3) Take public transit (TTC) for $3.00. Bus 192 to KIPLING Station, take the subway to YONGE station, change trains and go South to KING Station. Follow walking directions above.